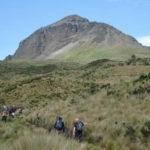 Join Pablo, an IFMGA certified guide, in this hike to El Corazon Volcano, in the western slopes of the Andes in Ecuador. I want to invite you to hike up to El Corazon Volcano (4,788 m), in the western slopes of the Andes in Ecuador. Join me and let’s climb up together to this extinct volcano, 40 kilometres southwest of Quito. The name of the mountain, El Corazon, means “heart” in Spanish. Many think that the volcano got its name because of the heart-like peak. However, others claim it is because of the two gullies with a heart shape. I think this program is a perfect acclimatization climb for travelers that have just arrived to Ecuador. Also, its ascent only requires an easy scrambling and climbing towards the summit. It’s a beginner level program. We will meet in Quito and drive to the base of El Corazon Volcano. Then, we will begin our climb. 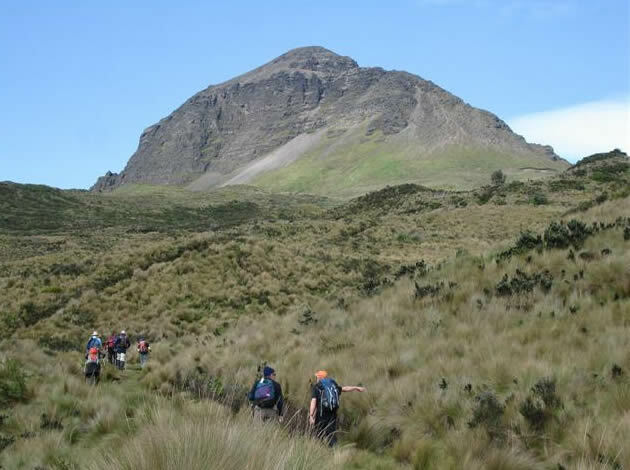 I will guide you in this hike through the beautiful paramo tall grass vegetation. It will take us from 3 to 4 hours. Once at the top, we will have lunch and enjoy the amazing views. 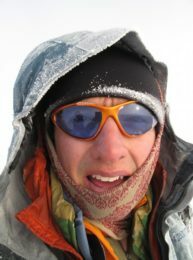 We will see peaks like Rumiñahui, Cotopaxi and the South and North peaks of Iliniza. Then we will hike down for 3 hours. You can check the detailed program below this text. If you want to extend this program, you can do it in 2 days. There is an optional extension that will take you to the Iliniza basecamp. Then, we will climb up to the Iliniza peaks. So contact me and let’s start planning our climb to El Corazon Volcano! I will be happy to help you! I also offer another program for beginners: a 2-day climb to Cotacachi Volcano. Check it out! We will leave Quito early in the morning, and drive southwest to the base of the mountain. We will start our climb here. It will take us 3 to 4 hours. Once at the top, we will enjoy lunch and the stunning views of the Ecuador landscape. Then we will begin a 3 hour descent, and then drive back to Quito. We will hike along the ridge between El Corazon and Iliniza. Then, we will climb up to La Virgen (3900 m). We will camp at the base camp of Iliniza. We will start the five hour ascent at 6:00 am. We will hike up to the saddle where we will meet the trail that follows the ridge up to the summit. From there, we will enjoy spectacular views.We will then begin our 3 hour descent. Then, we will drive back to Quito. I always do my best to adhere to the itinerary, but unforeseen circumstances may require last minute changes. Weather conditions, road conditions, vehicle breakdowns and the health of climbers can all contribute to schedule alterations. Please be prepared to be flexible when necessary. Mountaineering - 11 days - Interm.